It’s uncanny how many calls about wallpaper I get on Thursdays. Other days I may get one or two, but on Thursdays, you can pretty well count on four or five or even more coming in, often one right behind the other. Perhaps folks have gotten the rest of their week and chores taken care of, and are moving ahead to “new business” like decorating projects. Or maybe they’re looking ahead to the weekend and tasks they want to accomplish when they’re off work. Borrowed from the New York Times “Letter from London” about one woman’s love affair with black & white monochromatic decor. I especially love the storm clouds by Cole & Son. Who would think of papering a room in rolling storm clouds? 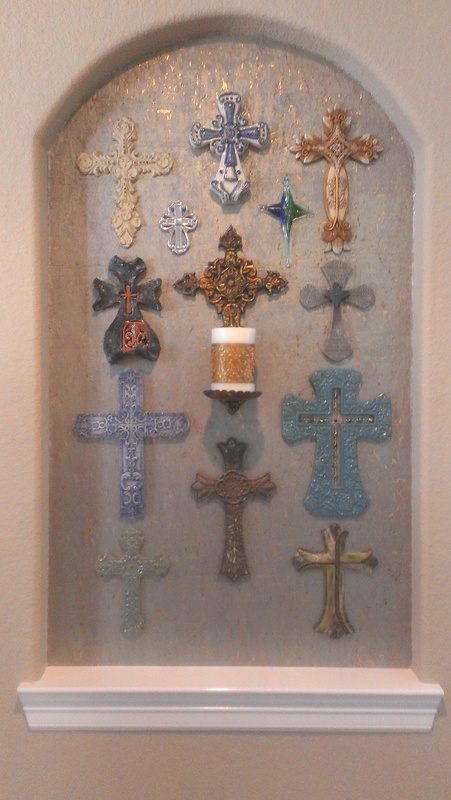 A friend from the National Guild of Paperhangers (NGPP) hung that paper recently, in an entry, and it was drop-dead gorgeous! Take a look…. 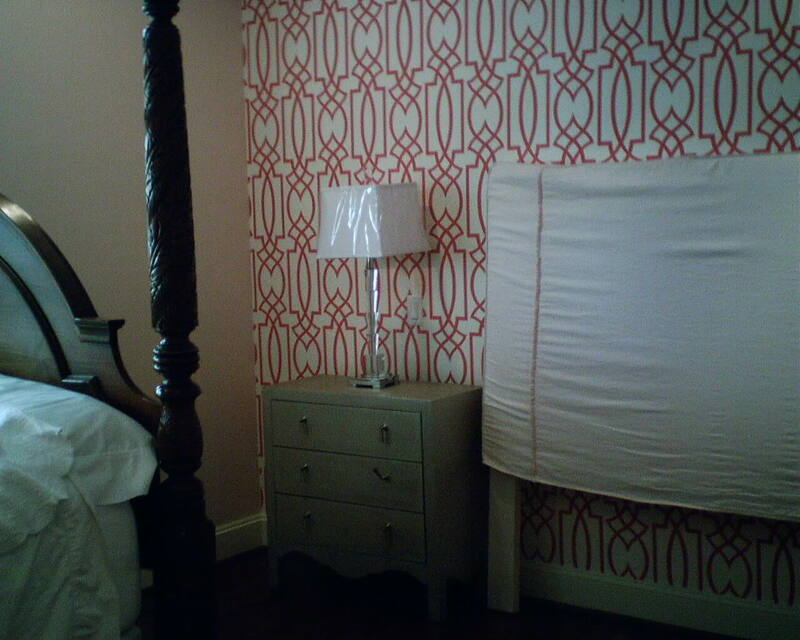 There’s a little white smudge in the middle of the pink lattice to the left of the wallpaper label. Not such a big deal, but I wish it had not been exactly at eye level. I am hoping that, once the bed is back in place, the headboard will hide this small defect. 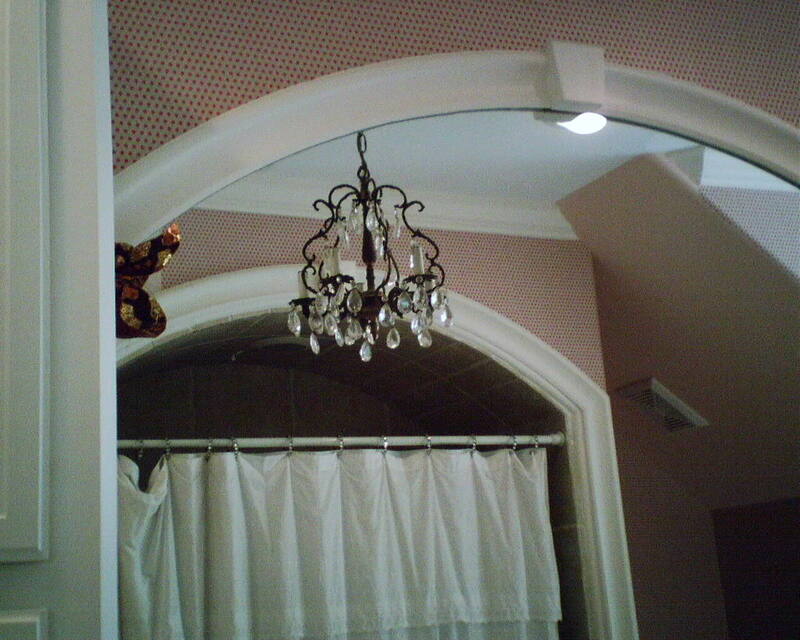 The angles and arches in this bathroom, along with the bull-nosed corners and unlevel ceiling line were a bit of a challange. It turned out super, and the teen gal loves it. 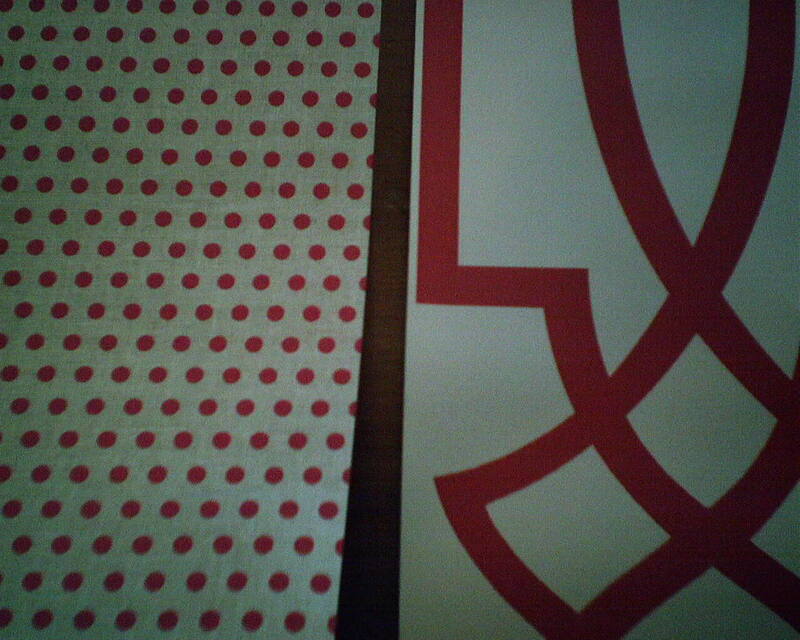 This is a hot pink polk-dot wallpaper pattern on a silver background. 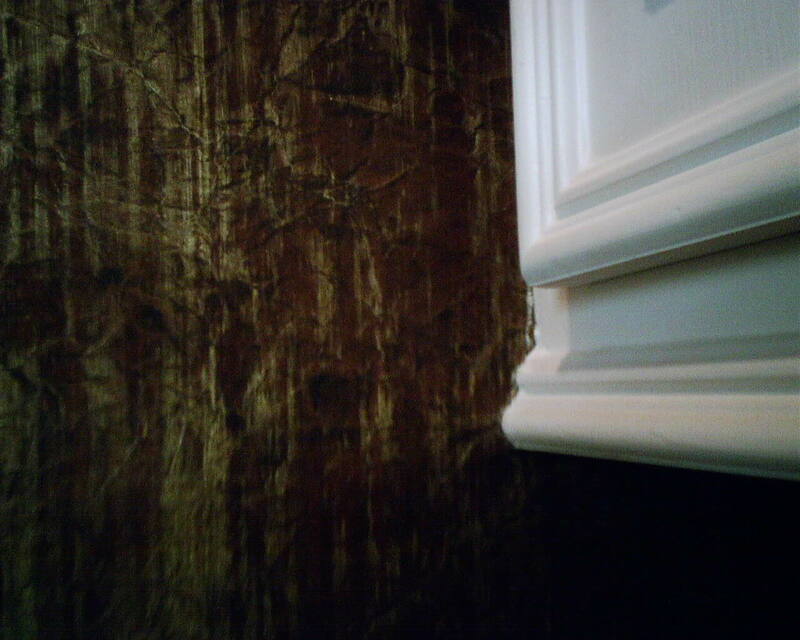 It is #RB4286 from the Sure Strip line by York Wallcoverings. Besides the instruction sheet, this note was wrapped up inside the rolls of wallpaper I am hanging this week. 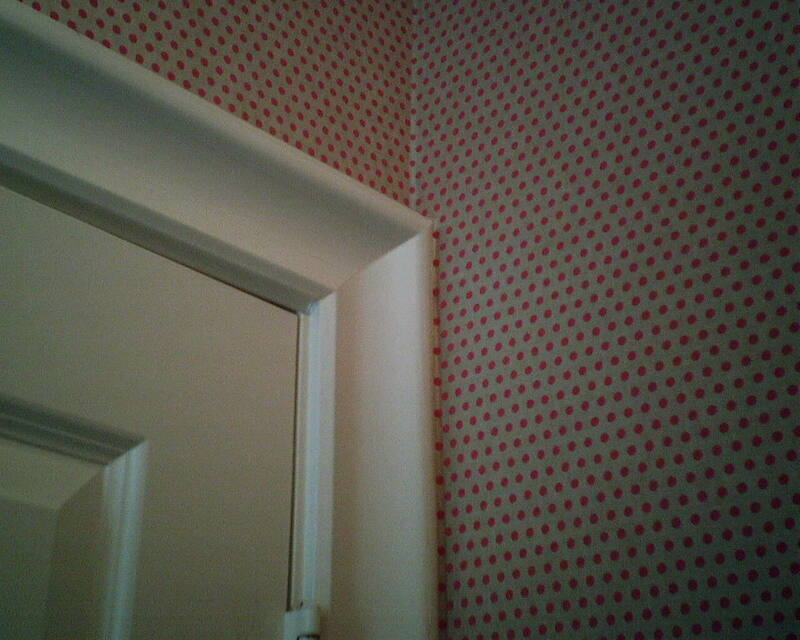 The polka-dots on this wallpaper are slightly raised, to give a 3-D effect. The manufacturer is letting us know that the inks are fragile and can be abraded or wiped off, and so the paper should be handled with a little more care than other papers. 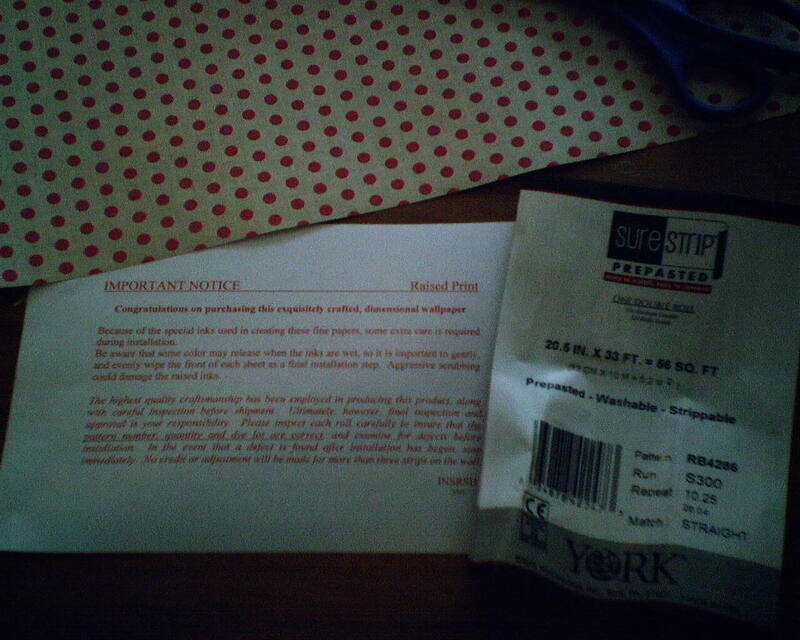 I didn’t experience any flaking or abrading problems, and found the paper quite nice to work with. 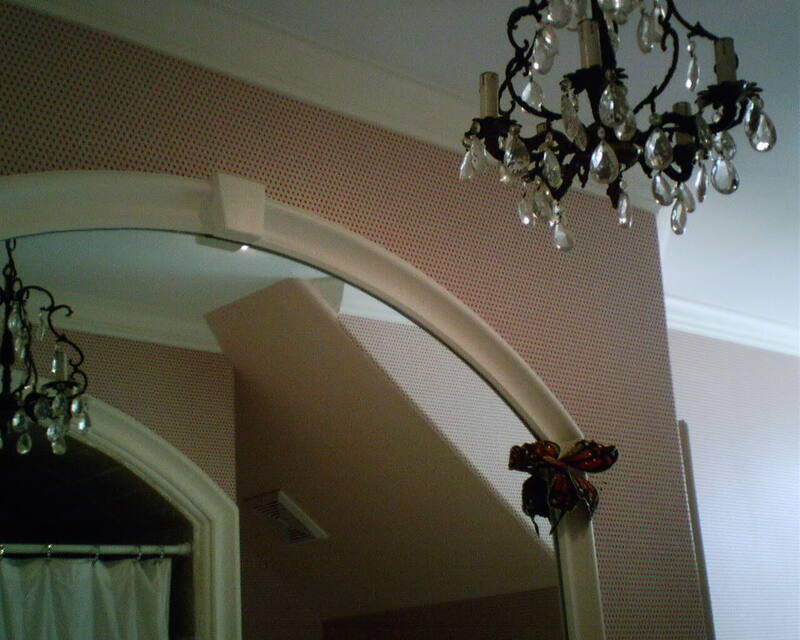 This hot pink on silver is #RB4286 from the Sure Strip line by York Wallcoverings. It’s one of their newer non-woven substrates, intended to strip off the wall easily and in one piece, when you’re ready to redecorate. Here’s something feminine and lively for a college gal’s bedroom. 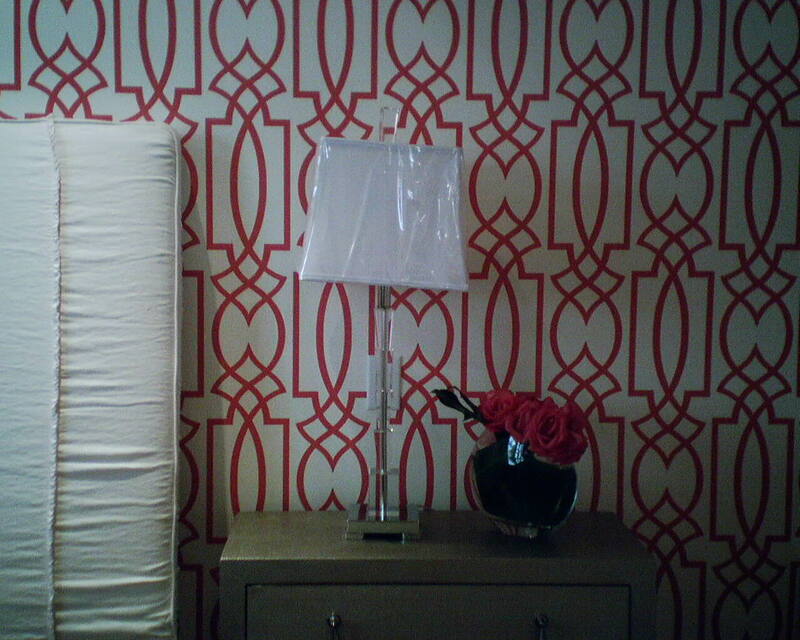 The wallpaper pattern is #CM2382 by designer Antonia Vella for York Wallcoverings, one of my favorite manufacturers. Guess Which Pattern Will Be Easier to Match? The lattice pattern is going in a young gal’s bedroom (accent wall behind the bed), and the tiny dots are going in her adjoining bathroom. I was mighty happy when I saw that the designer of the lattice pattern did not run the pattern across the edges of the paper. Since nothing has to be matched from strip to strip, it makes it MUCH easier to keep the pattern straight at the ceiling, because I can put the top element right at the ceiling line on every strip. 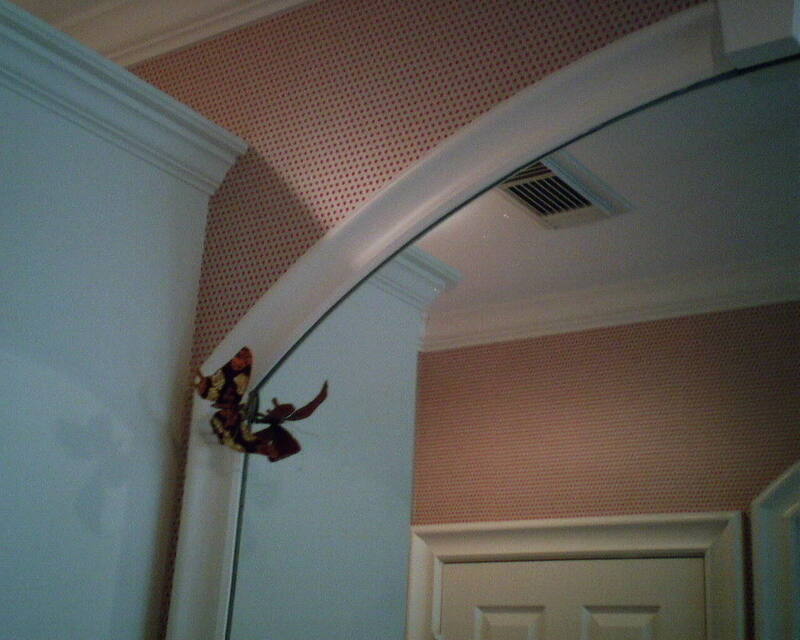 You see, if the paper is hung true to plumb, but the ceiling is not level, and each strip has to be matched to the next, it will look like the design is traveling up or down hill from the ceiling. 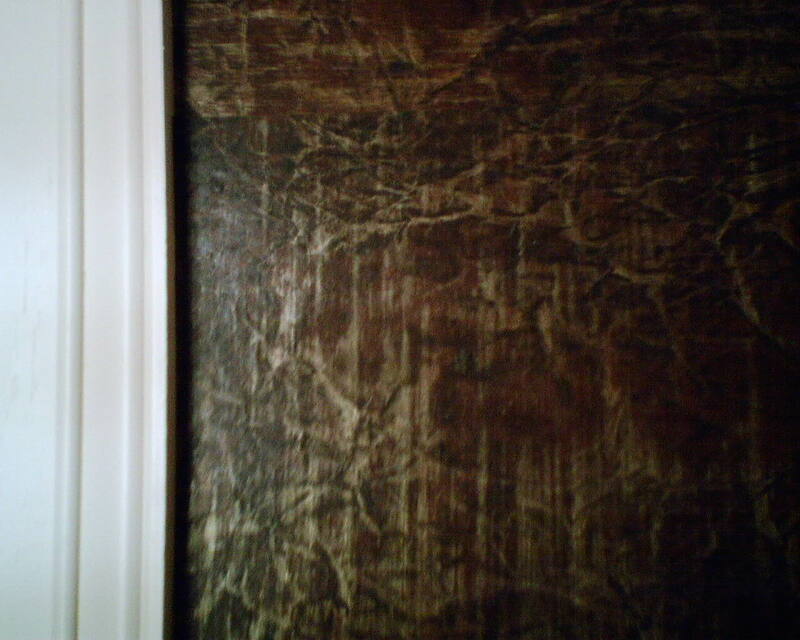 But with this pattern, since I am able to place the design exactly at the top of the wall with each strip, even if the ceiling is not level, you will never notice. 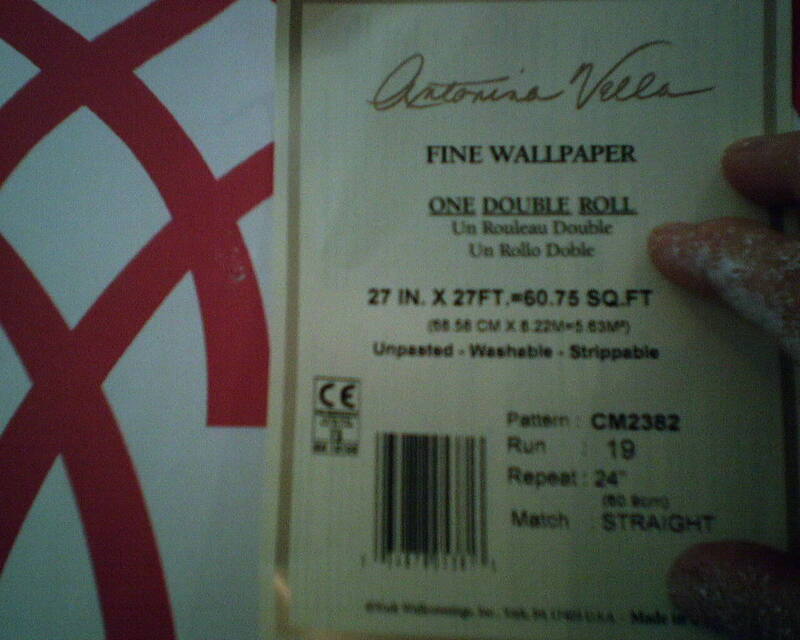 I have a feeling that this topic is confusing to someone who has never hung wallpaper. But I’m sure my paperhanger buddies out there know exactly what I mean. 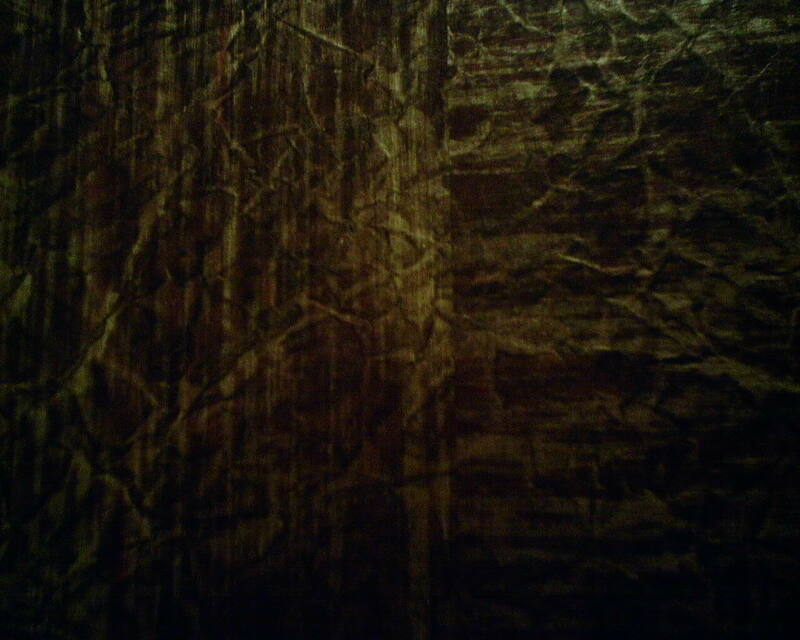 The pattern is #CM2382 by designer Antonia Vella for York Wallcoverings, one of my favorite manufacturers. I found these at Home Depot today. They’ll come in handy when I have to move furniture away from a wall, and there’s not big handsome man to help. They slide easily, and help prevent scratching the clients’ floors. 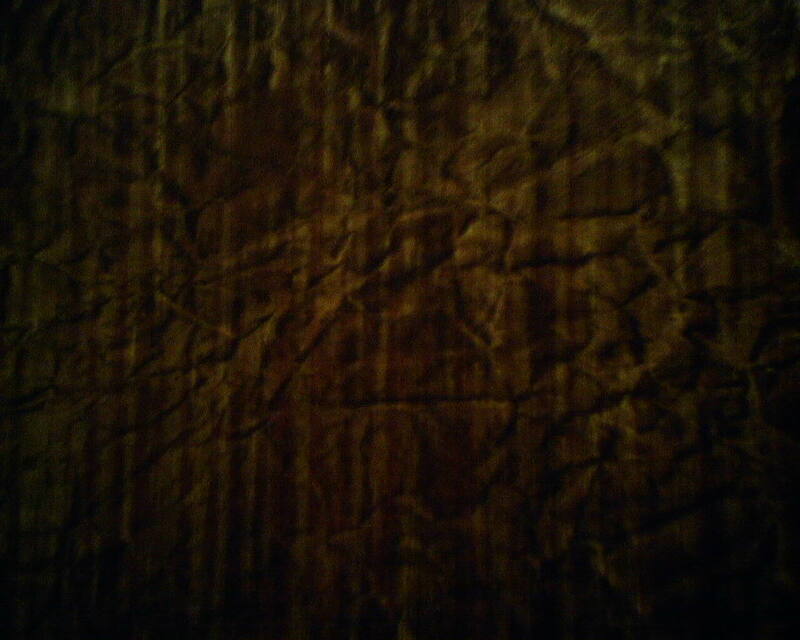 I appologize for the dark photos, and for the lack of a full-room shot. It’s hard to back up enough to get a lot in the photo, when you’re in a tiny powder room! Anyway, you get the idea of what the paper looks like. The client loved it. You are currently browsing the Wallpaperlady's Blog blog archives for May, 2013.